Check out some of the top hotels in Cyprus in this post! Cyprus is a spectacular country that is diverse in culture, and it is no wonder why millions of people holiday here every year. The island has a number of top hotels to choose from, and if its luxury that you’re looking for then this list of the top hotels in Cyprus is right up your street. The Elysium enjoys great views of the Mediterranean Sea and has been designed in a palatial style primarily influenced by the Byzantine era. The cultural references of its architecture show the rich history of Cyprus and combine elements from Greek, Roman, Medieval and Venetian times. A blend of local stone, marble and timber, warm muted colours and decorative features such as mosaics, arches and columns reflect the aims of the designers to create a sense of place and tradition, where guests can enjoy a relaxing and stimulating holiday in a peaceful and secluded environment. The luxurious Amathus Beach Hotel Paphos displays the ancient tradition of genuine hospitality in the modern luxury of five star accommodations. The hotel’s unique monastic architecture and classical interior achieve a subtle blend of intimacy. This superb retreat lies on the seashore surrounded by lush landscaped gardens, just two kilometres from Paphos charming fishing harbour. Located within walking distance of the old castle, Amathus Beach Hotel Paphos is ideal for both a resort-style holiday and one exploring the history and heritage of the area. 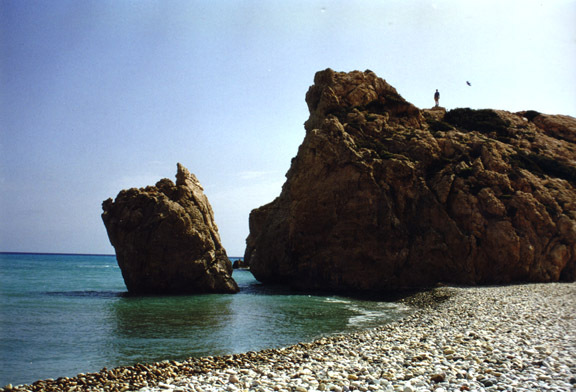 Cyprus’ ideal weather makes it a perfect location for outdoor activities. World-class golf courses, diving expeditions and beaches are some of the most loved attractions here. Cyprus is serviced by many different airline companies and there are flight connections with most major European cities like London, Birmingham, Manchester, Frankfurt, Paris, Amsterdam, Rome, Milan and many Eastern European countries. There are also connections to almost all Middle Eastern capitals. However there are no flights to Turkey from the south. In order to get the best deal on your holiday this year, make sure you compare the market online. Set on a hillside overlooking the Mediterranean, the InterContinental Aphrodite Hills Resort Hotel offers a unique Cyprus experience. Just 15 minutes from Paphos airport and within easy reach from Larnaca airport, the resort is located at a peaceful area. The Aphrodite Hills resort combines the luxurious InterContinental Hotel, The Retreat Spa, an 18-hole standard championship Golf Course, a Tennis Academy, three Kids Clubs, a Teens Club and the Village Square. Nearby are the luxurious Zias Beach Club, Cove Beach, and Aphrodite’s Riding Club with excellent horse riding facilities. In the hotel you can enjoy the indoor and outdoor swimming pools and fully equipped 24-hour gym. See above packages for golf, spa and seasonal offers. The InterContinental Aphrodite Hills Resort Hotel provides a choice of restaurants and bars for a variety of dining experiences including the award-winning Mesogios Mediterranean restaurant, local and international buffets and Euro-Asian cuisine. Posted in Cyprus and tagged with Cyprus, Hotel, Island, Luxury. RSS 2.0 feed. « Why renting a cottage in the UK is perfect for cosy holidays!